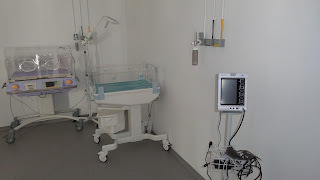 Pediatrics is the branch specialized in medicinal psychomotor development, physiological and child pathology and childhood diseases, and those from the baby until the post pubertal period or it becomes adult. 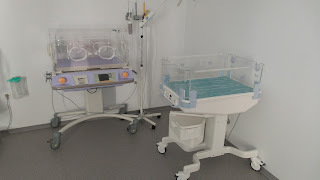 The International Polyclinic Djerba, ensures the management of the newborn, in cooperation with paediatricians practicing in Djerba, a unit of pediatric and neonatal resuscitation was established, it has a team of ten technicians pediatrics, all motivated and experienced, allowing for precedence 7 days 7, 24 and 24 hours of these specialized nurses. 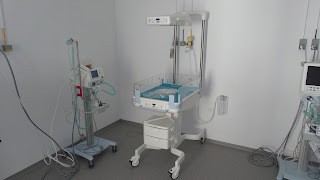 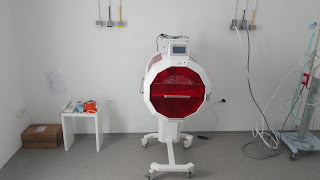 A technical platform which includes two high frequency neonatal aspirators, hot reanimation tables, two incubators and two more recommended a CPAP device for newborn, a trolley for complete newborn having (an incubator, neonatal ventilator, scope , ambulance trolley), this movable transport unit allows to respond immediately to any new transfer of urgency born with respiratory or other de-stresses.